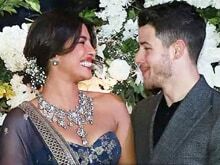 Bollywood actor Priyanka Chopra, who made headlines across the world for her lead role in the American TV series Quantico, says that she finds it difficult to strike a balance between Bollywood and Hollywood. "It's hard to balance between two careers", she says. Not only does it get hectic, the actor also gets bored very easily. "I am very creative, and individualistic. I get bored of doing the same things", she adds. Tune in to know how bored or amused she was with playing the roles of Kashibai in Bajirao Mastani, and Alex in Quantico.